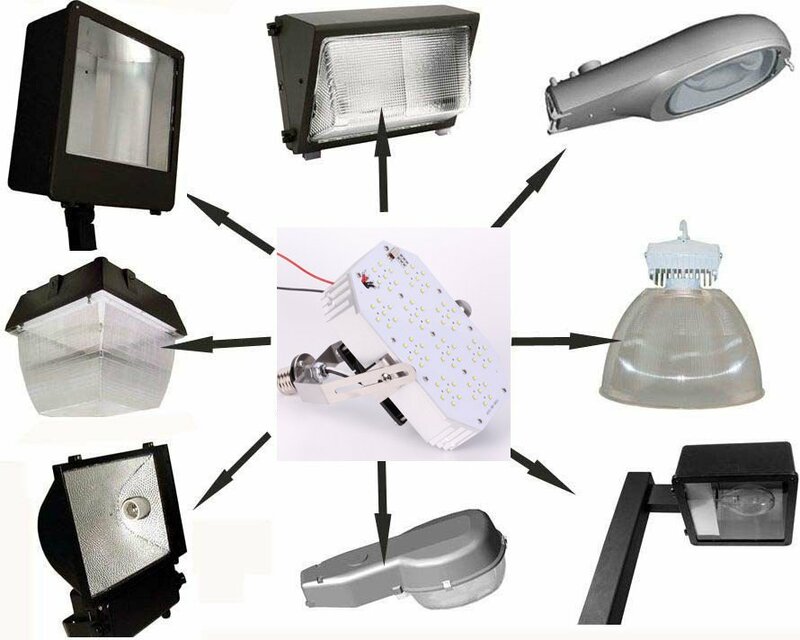 Economy, high quality 80W 9,402 Lumen, 5000K LED Parking light Retrofit Kit easily replaces a 250 - 320W HID. A 15 MINUTE LED PARKING LIGHT KIT, ALSO FOR WALL PACK RETROFIT KIT, CANOPY LIGHTS, FLOOD LIGHTS. 100,000 hours compared to 50,000 hours! Installation is simple, in most cases involving our LED Parking light Retrofit kit, a quick mounting bracket kit is included, making this LED Parking Light Retrofit kit about a 15 minute job. Color Temp. 4000K / 4500K / 5000K NOTE! 5000K is standard, others Special order! NOTE! Units are packaged 4 per Master carton! However, lesser quantities will be sold if a unit or two is needed to test. 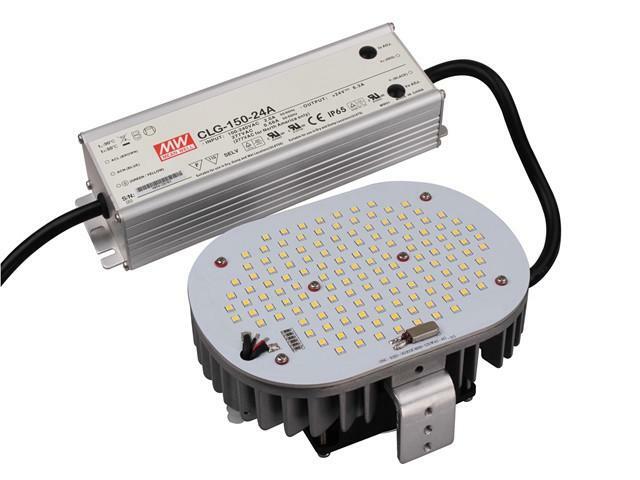 These LED Parking light retrofit kits can be used in a variety of fixtures, and are a perfect Wall pack retrofit kit for 250 - 320W Metal Halides, or any HID replacement.